Shriekback announced a Kickstarter campaign, earlier this year aimed at getting the band onto American stages for the first time in 25 years. The idea was to hit the US stages at roughly the same time as their in-the-works album would be released for a tour immediately afterward. Eminently sensible, but reality ran roughshod over the hopes and dreams of both band and fandom. 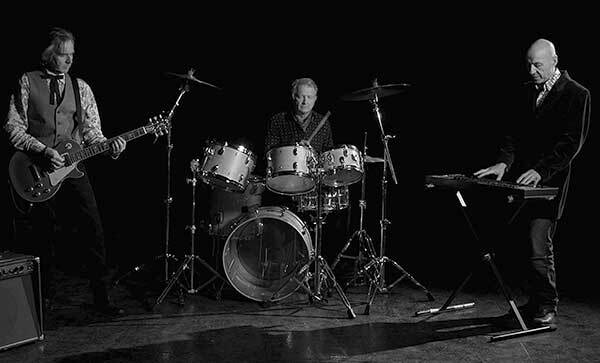 The pledgers this year, did not kick in enough scratch to meet the goal, which was twice the previous year’s Kickstarter goal that saw the band successfully trodding stages close to home in the UK and Europe. A depressing bummer for your’s truly since I was all prepared to travel to Chicago for one of the mooted US shows and finally experience this fascinating band. 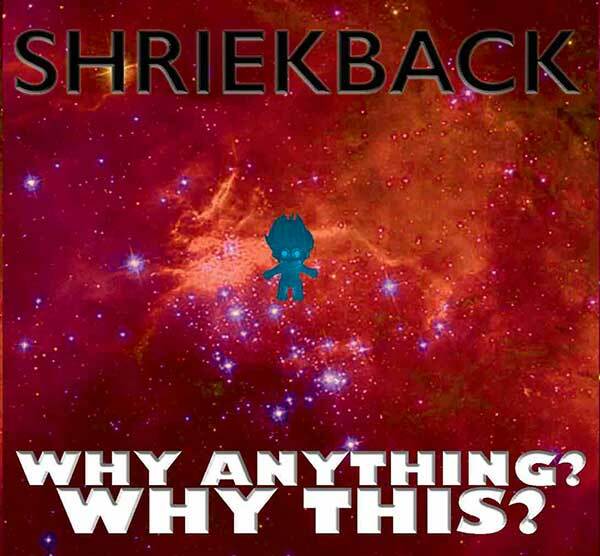 Nevertheless, there was still a silver lining to this dark cloud; at the very least Shriekback’s 14th album was on track to get a release this Summer, and it’s available today. What’s it like, you may ask? Well, for a start, it’s nothing like what I was expecting following their “Elated World” bespoke music project! If you saw that review, I suspected that there may be techno-leanings on the 14th Shriekback album and the results here could not be further from that! The band have seriously downplayed the loops and software to embrace a more humane live band vibe that really puts this one in a box next to “Big Night Music,” or even the largely acoustic “Naked Apes + Pond Life!” Though it all began with a blast of thunderrock in the form of the it-could-only-be-Shriekback “Shovelheads.” The guns blazing frontpiece to the album was atypically loud and brash. Almost Shriekback in arena mode, with a metal chaser on some of the guitar solos here. I’d swear that Barker was playing electronic drums on this one as it was very much in one’s face, with Mr. Andrews’ classic Jupiter 8 solo on the middle eight there to remind us that we’re listening to Shriekback and not Sisters Of Mercy. Then the energy level began to perceptibly ebb with the next song, “And The Rain” where the low moan slide guitar of Carl Marsh conspired to join Martyn Barker’s Bo Diddley acoustic kit to take us out of the flashpots and varilights of the opener to the the monochrome windblown plains of Oklahoma. The song’s subtle power builds like a storm without ever breaking as the repetitive, trance-like choral voices [not just the band but also the amazing Partridge Sisters] gradually fade to embers as the song’s smoky end occurs. See below. As “Catmandu” began, I almost thought for a moment that I had a Nick Cave + The Bad Seeds album playing instead. The deftly light percussion by Mr. Barker with the wailing harmonica gave Carl Marsh’s impressively deep vocals a perfect foundation, but by the time the chorus manifested, it was apparent that Nick Cave could never indulge in such frisky wordplay as “The dog man don’t but the catmandu.” For all of their dark intensity, Shriekback make sure to give their playful wit a place in the table. “Such, Such Are the Joys” is the type of song that could only be on a Shriekback album. Barry Andrews can craft a slow burner like few others and his dense and [traditionally] obtuse lyrics dare to invoke Jungian anima and cataphatic skies. The only artist I ever saw use the latter word in a song was Robert Fripp on “Under Heavy Manners!” This one sounded like a classic they forgot to put on “Big Night Music” as the dark intimacy of the sound had now completed its retreat from the booming fortissimo of “Shovelheads” to an shimmering, andante cloak of sound that enshrouded the listener. I loved how it all evaporated in a dreamy crepuscular evanescence with only one of Barker’s shakers remaining to ground it all in the coda. Then it all got even quieter with “Wriggle And Drone” taking it to the “acoustic Shriekback” vibe the band had staked out with “Named Apes + Pond Life.” The mix by Stuart Rowe was just superb here as the unison vocals of Wendy + Sarah Partridge lent able support to the delicate drone of the keyboards and the gently brushed drums of Mr. Barker. There was such beauty here, yet shot with the weirdly askew perspective that Mr. Andrews excels in exploring! A classic Shriekback moment and the vibe solo in the middle eight was really something to hear. The mood seamlessly continued with Carl Marsh’s nearly spoken word tone poem “The Painter Paints.” The conceit of speaking the verses and singing the chorus worked like a charm here. Again, kudos to the Partridge Sisters for their added delicacy. The meter of Marsh’s alliteration and timing sat apart from the rhythm bed but it would all coalesce on the chorus to alight on the razor’s edge of delicate music. The energy level began to stoke the fires once again after this to increase with the climactic “The Church of The Louder Light” where the thunderous massed choral voices of all joined Mr. Andrews in full gospel mode and were multiplied in a sonic hall of mirrors. What a stunning number this was… a perfect Shriekback moment to goose the energy levels near the album’s end. This was an archetypical Shriek-classic and the attention and arrangement given to this song; and indeed, the whole album, set it apart from today’s albums-via-software. This was the sound of a band making a real noise in the world instead of a cybernetic simulation of the real thing. “Sons Of The Dirt” established a funky groove up front with Mr. Andrews clavinet pairing nicely with Scott Firth’s bass as Mr. Marsh deftly danced a verbal jig among the beats with the grinding portamento of the synth getting the last word here. Then the dark coda of “Thirty Seven” allowed Mr. Andrews to wrap this album up with an expression of the unease of our current zeitgeist, where hope is all sold out and trust was just the name on a bank. A more ambivalent and apprehensive closer I couldn’t imagine. I loved the emotional arc of this album as it began with a massive explosion of energy and gradually, became more intimate and close-quartered as it played out; only amping up near its end to end for a rallying of the forces before resolving in a hesitant manner suggesting that all is not well. The caliber of the writing, arrangement and recording gave this one a real heft. It may have been made on a budget that would have paid for catering on a U2 record, but it sounds the furthest thing from cheap to these ears. As modern production is all about the software, this one dares to suggest that there’s life in instruments played in a room by a band with blues on their bones yet plenty of post-modern Coyote/prankster bite to take it all sufficiently left field. Anyone who is a fan of “Big Night Music” will find plenty to love here as the band explore similar moods and vibes; this time with bonus of Carl Marsh serving up a good portion of the tunes! Purchase with confidence, comrades. This entry was posted in Core Collection, Record Review and tagged 2018, Shriekback, Why Anything? Why This?. Bookmark the permalink. Echorich – …And you’ll love it! A very tight ten song album that begs for the “repeat” function as I spent several surreal hours happily listening to it as I got lost in the hills of Madison County trying to find the landfill yesterday. Very happy to find this waiting for me yesterday. The cover’s not really my cup of tea though…! SimonH – It’s a disturbing cover for a disturbing time, as if the title didn’t make this explicit. (Btw: Did you try The Fire Judges CD?) I’m always amazed how subtle + effective they work in both areas – songwriting and soundscaping. Slur – I cannot tell a lie. Promo copy. Don’t worry. It’s only a DL. I still need to order it so you’re ahead of me! Hodah – Welcome to the comments! My apologies for the photo credit typo [since corrected]. I hammer out these posts as fast as I can and editing [as much as I decry its absence in our culture now] is usually a luxury for me. I’m often typing as fast as I can during my lunch hour. Thanks for hosting your videos on Vimeo, the preferable video hosting platform. It’s my pleasure to embed Vimeo clips.